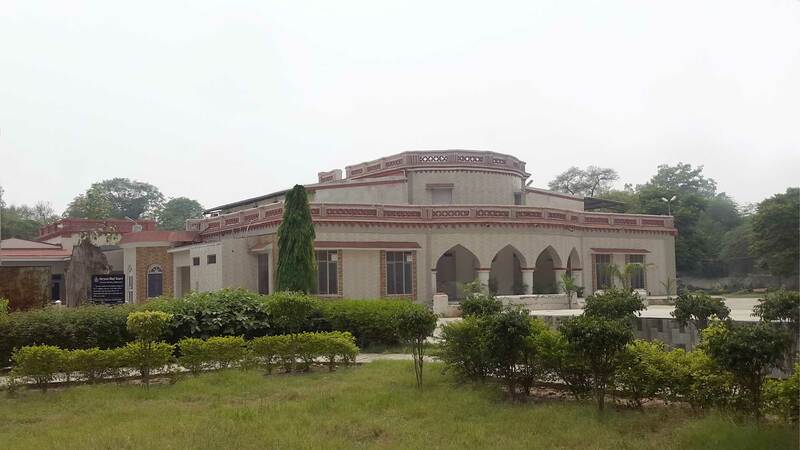 The Haryana Waqf Board has established and successfully running Mewat Engineering College (Waqf) MECW in Nuh Tehsil of Mewat district to impart quality higher technical education primarily to deprived students belonging to Muslim minority community concentrated in backward area of Mewat region. Mewat Engineering College has the status of minority institution but it is open to all sections of the society. The objective of the ‘Muslim Scholarship Funds’ is charitable and primarily aiming at helping Muslim students of the Mewat Engineering College in the shape of scholarships. 'Muslim Scholarship Funds' is a step towards the creation of a knowledge-driven, equal-opportunity society. The idea is to financially support the eligible needy and deserving students of the Mewat Engineering College with their educational expenses. We believe in working together for a bright future of our society which is undoubtedly dependent on quality education. Zakat may be accepted in the 'Muslim Scholarship Funds'. The contributors shall adhere to the existing laws of the land while accepting contributions. The contributors may deposit their contributions in this account of the State Bank of India, M.G. Marg, Ambala Cantt. — 133001. The A/c No. is 35832358052 with IFSC — SBIN0000607. 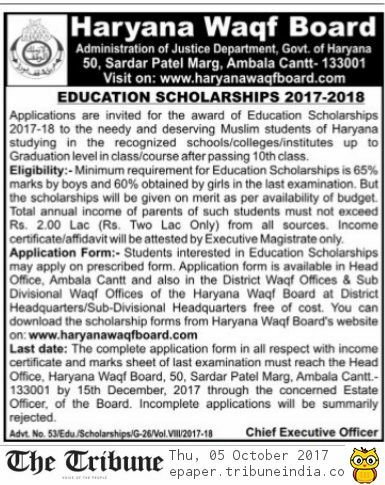 For more details please contact the Accounts Officer, Haryana Waqf Board, 50, Sardar Patel Marg, Ambala Cantt. — 133001 on the following Nos. (M) 09466114910, 09466114911, 0171-2630722, Ext. 35, 2640387, 2632192, E-mail: haryanawakfboard@gmail.com, Website : haryanawaqfboard.com.